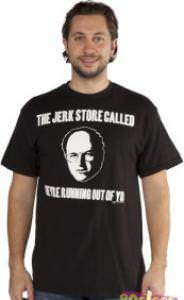 We all remember that famous episode of Seinfeld where Jerry wear the puffy shirt on to TV. Of course it is all to help out Kramers then girlfriend Leslie who they aperently agreed with that he would wear the shirt on TV. 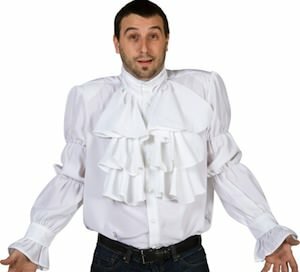 And now this famous Seinfeld shirt makes it mainstream and so now you can also look like a pirate just like Jerry Seinfeld did. This shirt comes in wide range of sizes from Small – 3XL and as you can see above has all the puffy details just like the one Jerry wore.